Ascot Cottage is a delightful, fully self-contained cottage nestled in the historic heart of Thorndon, Wellington. 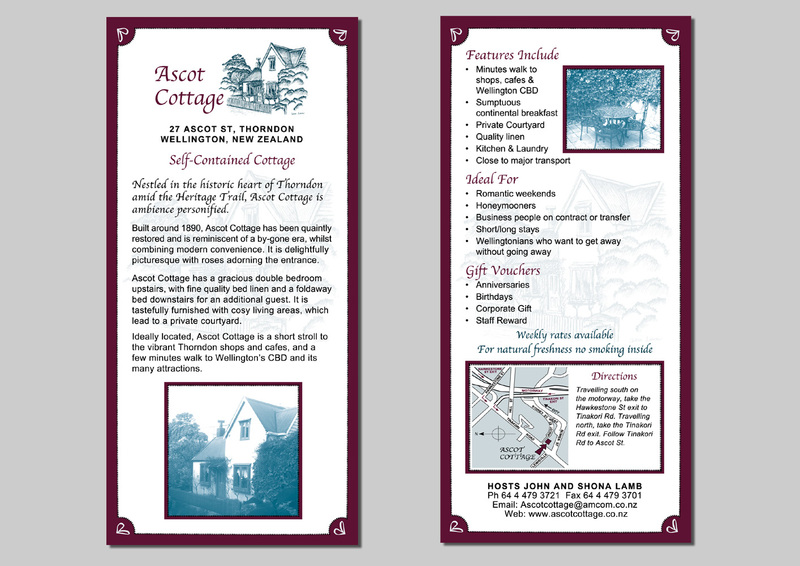 Ascot Cottage Ltd required a brand, business stationery, a promotional A4 folded to DL brochure and a website designed. Project: Brand and Business Stationery Design. 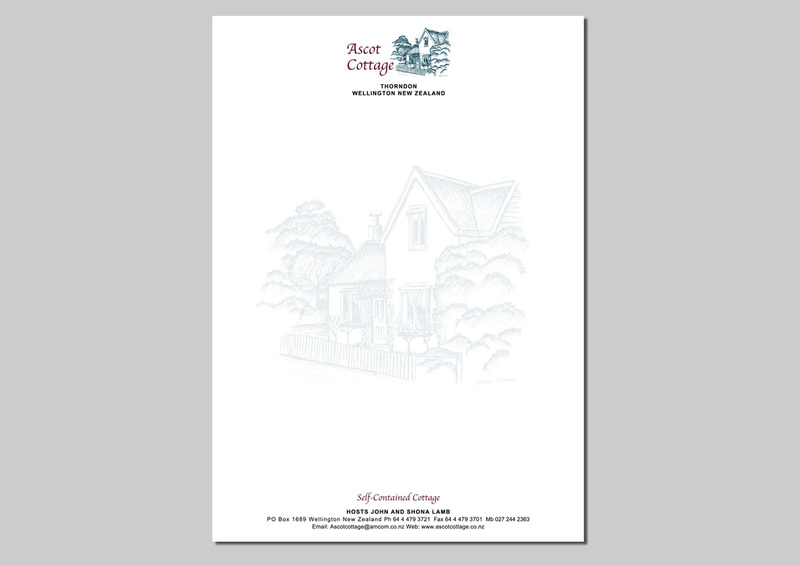 Format: Business Stationery, A4 Letterhead. 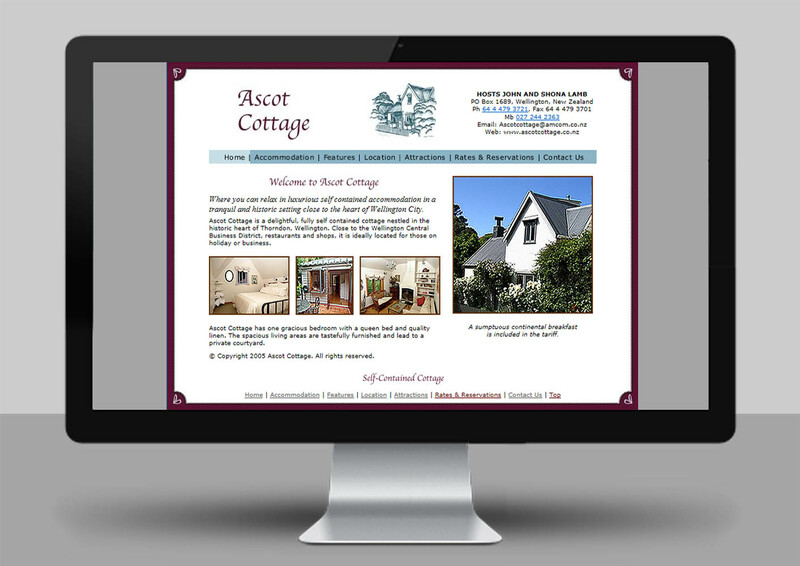 Brief: To create a brand for the cottage homestay that has historic ‘look and feel’. 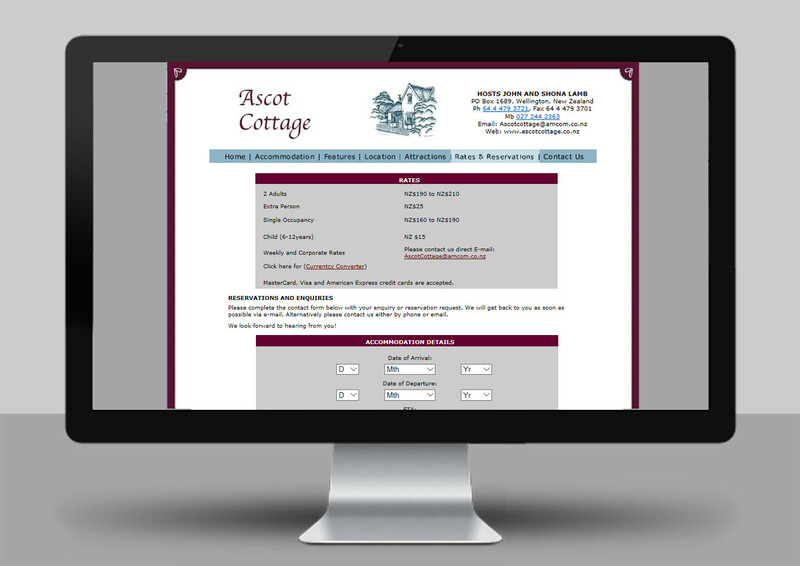 Solution: The historic ‘look and feel’ was created by sketching the cottage and using traditional script fonts, black and maroon were set as the corporate colours. A decorative maroon frame was also designed with heart motives. Format: Two colour black and maroon, DLE printed both sides. 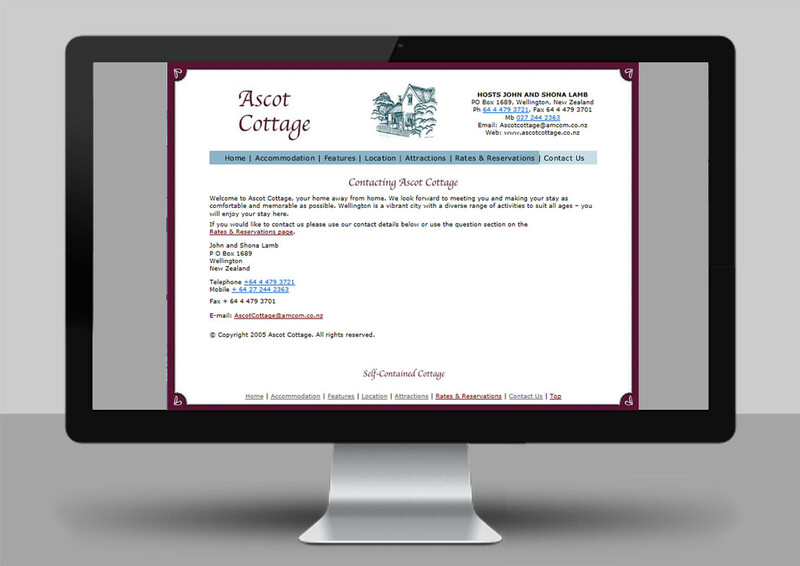 Brief: To create a promotional flyer for the cottage that is consistent with the new historic Ascot Cottage brand. 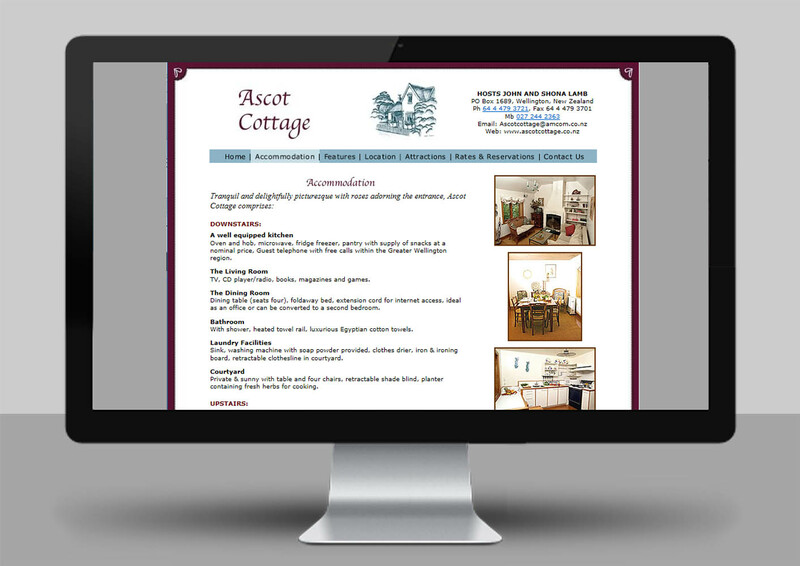 Solution: The flyer was designed using the same elements as the Ascot Cottage brand. The same traditional script fonts, black and maroon colours and decorative maroon frame were used. The photos were back and white to also link to the historic theme. 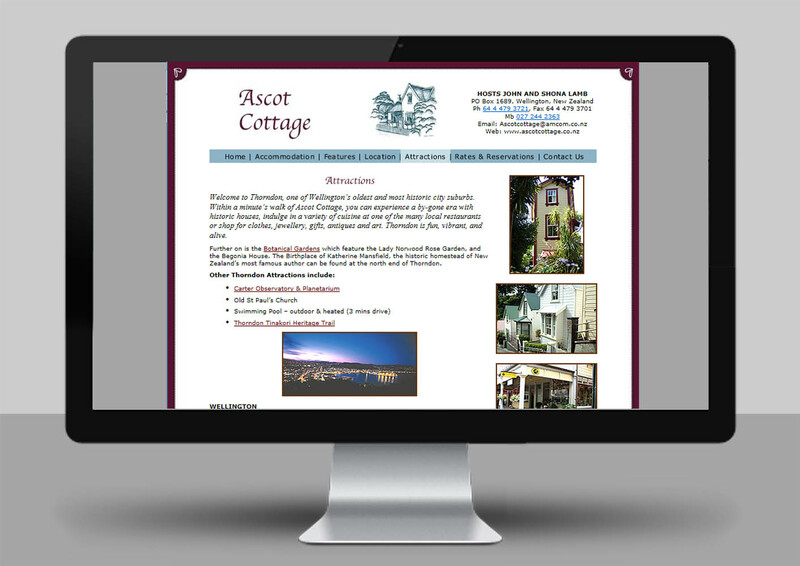 Brief: To design and build a promotional website that reflected the same look and style of the brand. 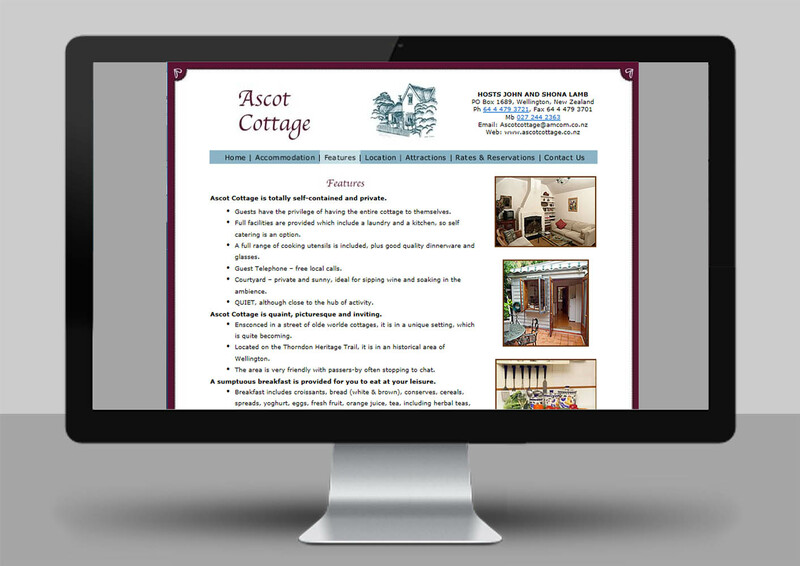 The client wanted the layout to be simple and clean cut and the website easy to navigate. 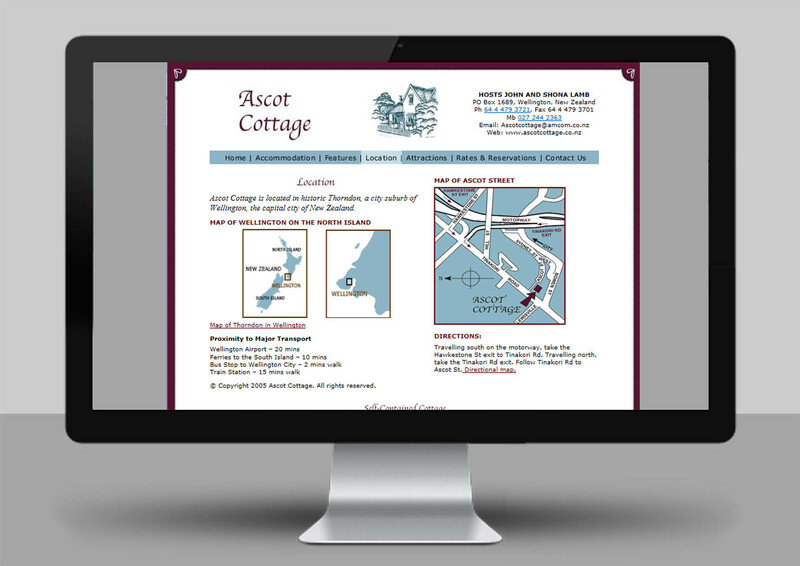 Solution: The ‘look and feel’ was created by an overall simplistic modern layout and navigation. The same colours and fonts were used with the same decorative maroon frame.